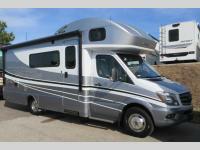 Hit the road knowing that you have all that you need at your fingertips in this Winnebago Navion Class C diesel motorhome. Creating meals and snacks will be easy in the kitchen because of the two-burner range and convection microwave oven, and the double-door refrigerator/freezer will keep all of your perishable items cold and fresh. 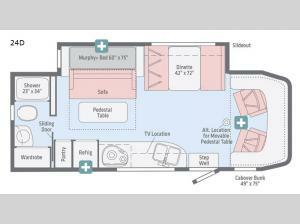 You will also find a pantry cupboard near the refrigerator for all of your dry and canned goods, and the overhead cabinets keep your daily dishes and kitchen items easily accessible. 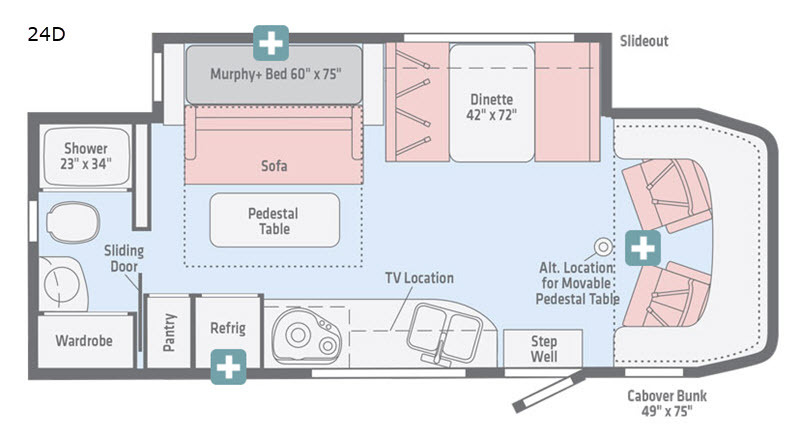 You will thoroughly enjoy the convenience of having a rear bathroom in this coach, and the Murphy bed will prove to be a huge asset in providing extra sleeping space at night while still keeping the interior free from clutter during the day.